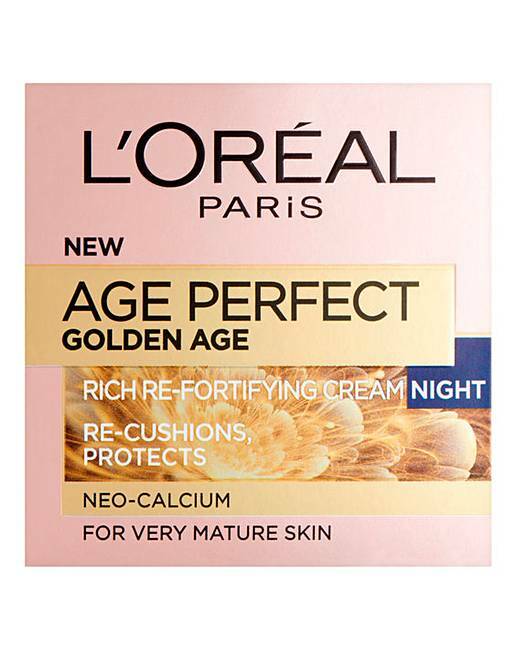 L'Oreal Age Perfect Night Cream is rated 5.0 out of 5 by 1. 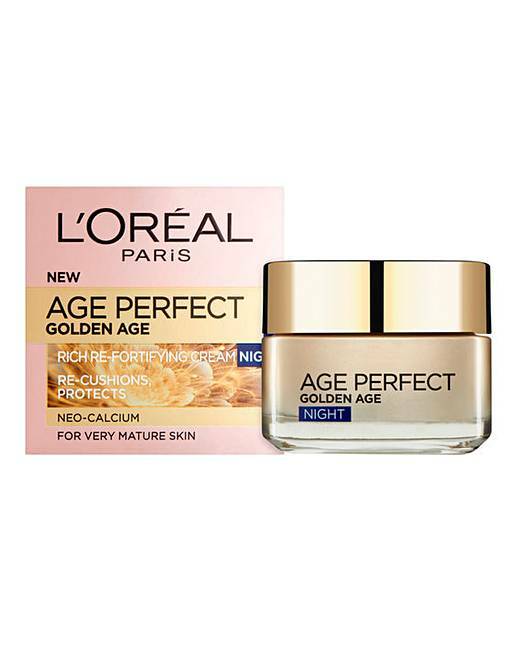 L'Oreal Paris Age Perfect, Golden Age Night Cream. With age, features begin to sag and the face loses its firmness. Beyond this skin slackening, natural calcium levels in the skin become depleted. The skin loses its density, becoming thinner and more fragile. 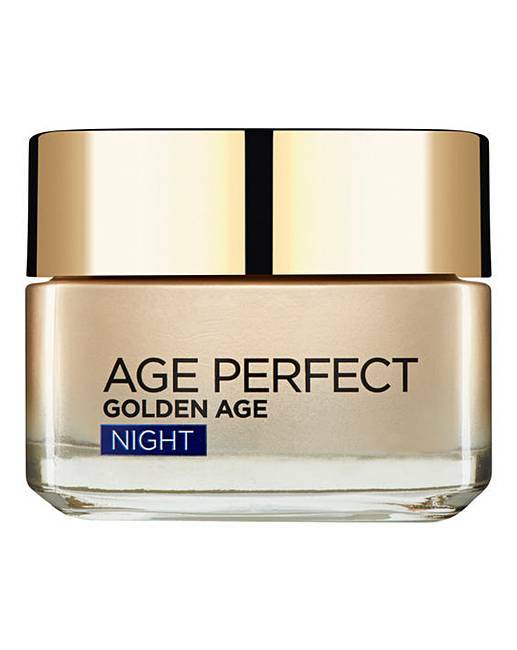 Discover Age Perfect Rich Re-fortifying night cream specifically formulated for very mature skin. The formula is enriched with Neo-Calcium known for its fortifying properties to help restore the skin's density and support the skin's structure. Skin feels more resilient and re-cushioned and helps the skin repair itself. The formula is enriched with emollient oils to help promote restoration of the surface skin barrier to protect and nourish the skin. Visible Results: In the morning, the skin is visibly fresher and rested. Fully hydrated, skin is comfortable without feeling tight. Night after night, the skin regains its natural density. The facial contours look more defined. Use: Apply before sleep on a thoroughly cleansed face and neck. Apply with circular motions for better absorption. Avoid the eye contours.